Seán Mulleady is co-founder and co-owner of conceptcsi with more than 25 years’ experience from a diversified background of Construction, IT and Management Consultancy in the United States and across Europe. He spent his formative years in England, where his father founded and ran a successful national construction firm, before the family returned to Ireland. Sean later attended Greenwich University, London where he studied computer science before immigrating to New York in late 1992. The saying “An apple doesn’t fall far from the tree” could not be more fitting as Sean clearly shared his father’s passion for construction along with an unrelenting entrepreneurial spirit. A little more than two years after arriving in New York, Sean together with his long time business partner Tom Moroney, founded their first business. Since 1995, Sean’s vision and leadership has helped grow the organization from a lone, startup business to an exclusive construction group with global resources and capabilities, renowned for its client relationship focus and boutique-style service. Tom Moroney is co-owner and co-founder of conceptcsi and has spent his entire professional life working in the construction industry. A native of County Clare, Ireland, he immigrated to New York with his family as a teenager, but remains fiercely proud of and connected to his roots. Over 25 years, Tom has gained extensive experience and excels in all areas of construction, but his expertise and greatest value is on the operational side of the business. At his very core, Tom is a natural builder with a passion for doing things the right way. He is a pragmatic problem solver and brings an attention to detail and quality that is second to none. He is constantly searching for new ways to improve on quality and efficiency, whether that’s a new product, new approach, new technology or new software, his mindset is one of constant improvement. Tom and long term business partner Sean Mulleady, celebrate 21 years’ in operation this year. Siobhán has been a vital and trusted member of conceptcsi’s leadership team since the company’s inception and currently oversees all aspects of corporate finance and internal operations. With more than 15 years’ experience in international financial management and administration, she is responsible for structuring the internal operations of the organization to be intuitive, responsive and flow with rapid efficiency. Siobhan is the ultimate people person and renowned for her hands-on, get it done style. She uniquely harnesses the key qualities of knowledge, talent, and personality, embodying the very best of what conceptcsi is all about. As Executive Director of Operations, Siobhán’s solid management ensures that the entire executive team is kept well informed, closely involved with all projects and directly available to every client. Peter Patsalides has over 30 years’ of experience in both construction and information technology. He spent 14 years’ with Matthew Hall, providing building services to the petrochemical concern. He then founded Teswaine Business Communications and grew the company into a major installer of IT infrastructure in the UK. After 12 years’, Teswaine was successfully merged with Bailey Telecom, becoming the largest IT infrastructure company in the UK. 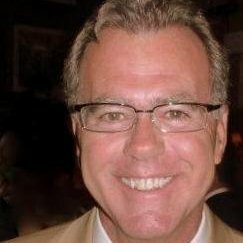 As Global Managing Director of conceptcsi, Peter has completed major projects throughout Europe, the Middle East, Africa and Asia for companies such as Citigroup, Lehman Brothers, Barclays, McGraw Hill, Clifford Chance, Credit Suisse, Goldman Sachs, SMBC, Level 3, and City Reach Data Centers. Kevin O’Brien, Executive Vice President, brings more than 34 years’ of industry experience and strong background in engineering and construction as it evolves to meet its customers’ increasingly demanding needs. In his position, Kevin oversees all conceptcsi operations in the New York, Dallas and London regional offices and reports directly to Seán Mulleady, Chief Executive Officer. Kevin spearheads the company’s strategic initiatives, day-to-day operations and overall growth.